Expect a world where you have 10+ low-value subscriptions trying to upsell you. Long before the botched launch of Star Wars Battlefront II put it in the spotlight, the gaming industry has been embracing subscriptions and recurring purchases. From subscriptions-based services such as PS Plus, Xbox Live, and EA Pass, to digital add-ons such as iPhone in-app purchases and Steam transactions, the gaming industry has become addicted to recurring revenues. They now account for a third of Ubisoft’s revenues and EA’s digital sales are up 28% year-on-year. Game as a Service has deep implications for the gaming industry and gamers (who are not too happy about the shift). Video game companies will release fewer games but exploit them much longer with frequent updates, downloadable content (DLCs) and loot boxes, seasonal mods and official e-sports competitions. Whereas a player may have spent a one-off $60 per game in the past, they may now spend $1000 over two years. 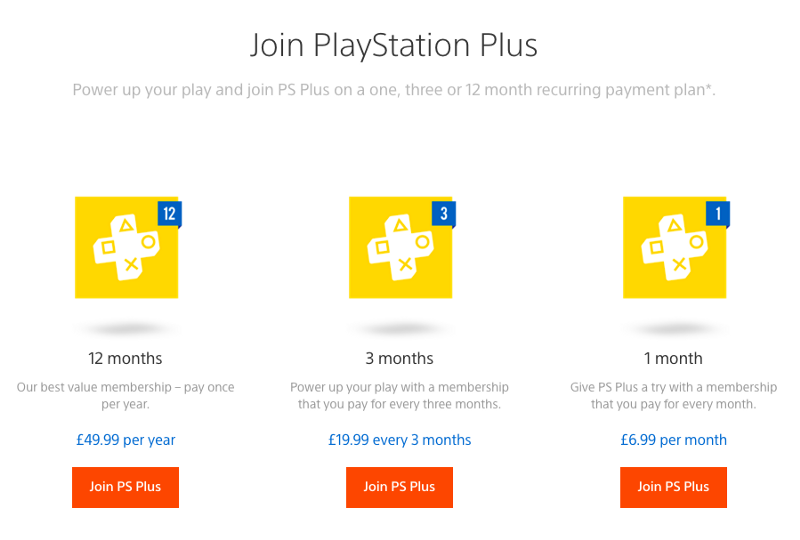 The lucrative hybrid of subscription plus recurring purchases or what EA CFO Blake Jorgensen calls “uncapped monetisation” means that video game makers need to become much more adept at selling subscriptions rather than one-off products and more importantly, at regularly cross-selling updates and bundles. As video takes over internet traffic (82% by 2021 per Cisco), streaming and on-demand services are taking over pay-TV. Global Over-The-Top (OTT) streaming revenues are set to grow to $51bn by 2020, with subscriptions accounting for $22bn of it. While everyone knows the big four that account for 80% of viewing hours (Netflix, YouTube, Hulu and Amazon Videos), there are a plethora of fast-growing OTT providers: CBS All Access (US), HBO Now (Global), DISH Sling TV (US), Now TV (UK), CanalPlay (France), Molotov (France), Maxdome (Germany), Ziggo (Netherlands). As the cost of streaming technology falls, every broadcaster and content owner is spinning their own direct-to-consumer OTT company. Sports is the latest battleground with DAZN cutting costs despite expensive rights. In Europe alone, there are already 450+ OTT service providers. Unlike gaming, most streaming companies have capped monetisation — i.e. more content pushed to the OTT doesn’t equate to more revenues. But smart OTT providers can take a trick from the Disney playbook: start selling merchandise and capitalise on live events. 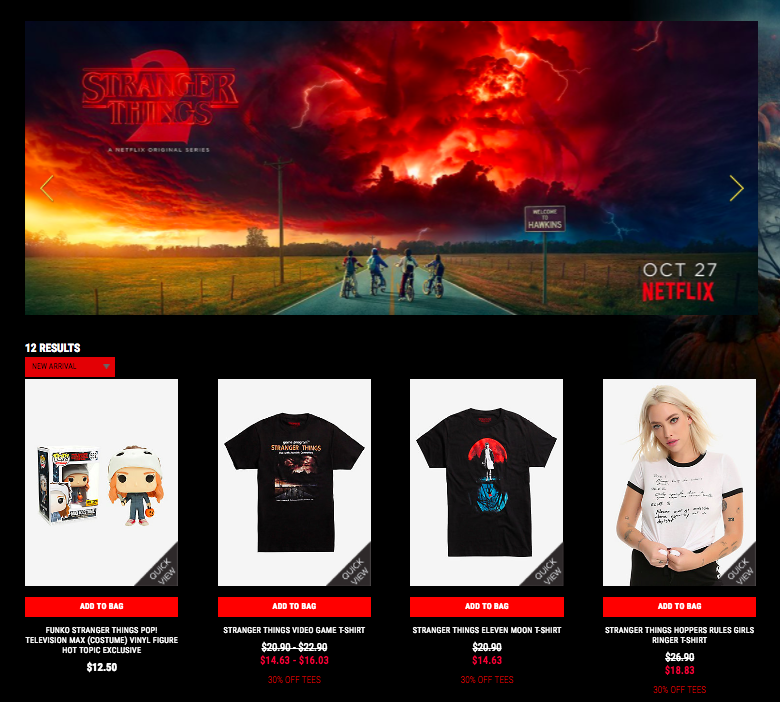 From Netflix selling Stranger Things jumpers to Now TV Sports Day Pass, it’s becoming increasingly important for OTT subscription providers to learn to cross-sell and upsell various products derived from their brand to avoid the raging price and content wars. With the Facebook and Google duopoly eating up 90% of all new ad dollarsand print continuing its 50-years downward spiral, publishers have had no choice but to start monetising their content with subscriptions. 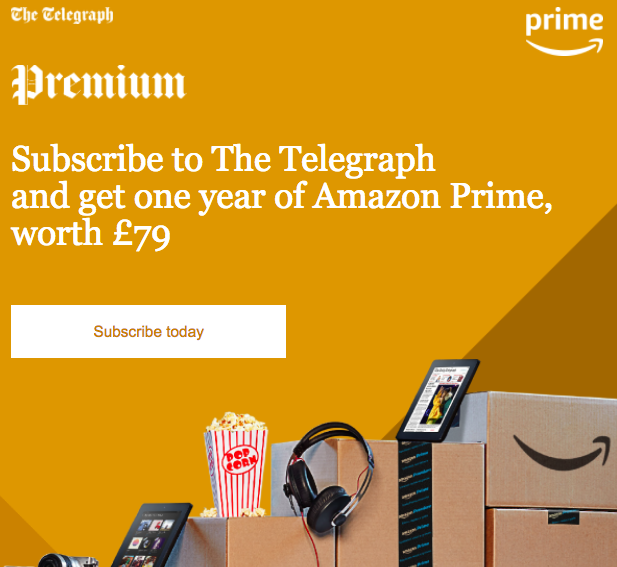 From the New York Times and Washington Post in the US, to the Telegraph and the Economist in the UK, or le Figaro and le Monde in France, mainstream publishers are all ramping up their subscription efforts and putting premium content behind paywalls, achieving record levels of digital subscribers and accounting for up to 30% of revenues. However, this is not enough to offset the decline in ad and print revenues, and publishers have had to think outside the box to generate new revenue streams. Publishers are launching many experiments such as bundles with other subscriptions like Amazon Prime, pay-per-view videos and podcasts, virtual reality experiences and consumer events. Nimble publishers like Barstool Sports are crafting dedicated content to promote Black Friday sale on its merchandise. Lifestyle publishers have also ramped up their affiliate revenues by recommending travel destinations, credit cards and insurance deals, leveraging the data acquired on their subscribing audience to suggest relevant deals. Tuition fees are probably the most expensive subscriptions a lot of us have paid. Much, much cheaper are MOOCs (massive, open, online courses), which are also shifting to subscriptions in the wake of Coursera introducing subscription last year to unlock areas of specialisation. Low digitisation of education and the constant re-skilling of the workforce means the market opportunity for EdTech is huge, predicted to reach $252bn by 2020. The challenge for open learning systems remains monetisation. They will need to track student’s progress and learn to deliver credible accreditation, often in partnership with recognised universities, to succeed. Termed subscriptions for degree-delivering courses will then become more common and considerably reduce the cost of quality education. In a world of constant re-skilling, MOOCs are well placed to convince learners who have long left school to pay for premium content and courses to acquire new skills. It will become increasingly important for MOOCs to track their subscribing learners over long period of times and constantly suggest relevant courses.